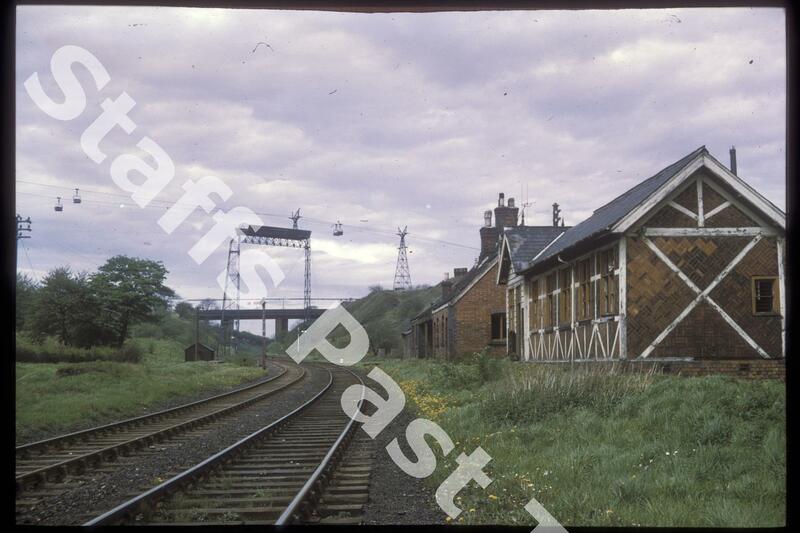 Description:Black Bull Station was just north of Brindley Ford on the Biddulph Valley line, opened in 1860. The station opened in 1864 but the line was used mainly for coal and iron stone and passenger numbers were low. Passenger services were withdrawn in 1927. Victoria Colliery is behind and to the right of the station. 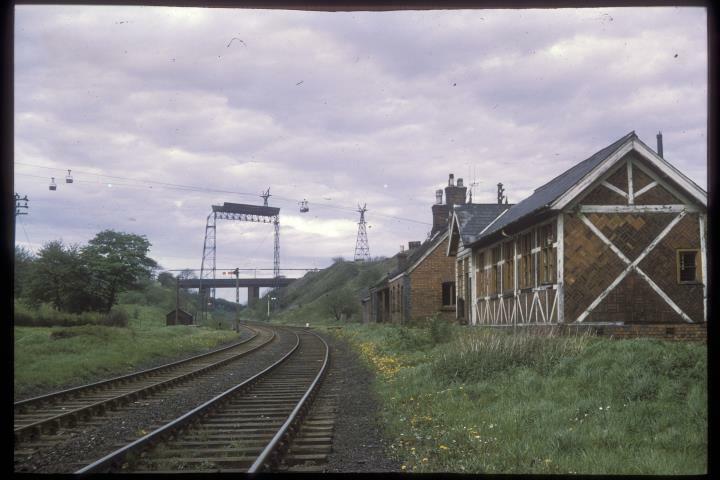 Just beyond the station buildings is the aerial ropeway connecting Victoria Colliery to the spoil tip. The bridge beyond that carried the mineral line from Victoria Colliery to Brown Lees Colliery and on to Birchenwood, Turnhurst and the Potteries Loop Line. The station buildings have been removed and the line now forms part of a walkway and cycle way along the Biddulph Valley route.